You manage a company or a division and have problems you can’t discuss with your colleagues? Are you looking for a Sparring-Partner that understands your business and actual challenges? 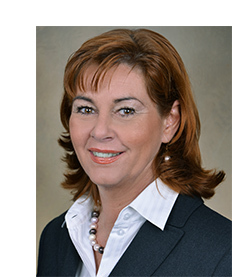 In a cooperation based upon mutual trust and respect, Annette Habermann is very pleased to act as your Sparring Partner. With a lot of empathy she can catalyze your situation and bring things to the point. In a continuous dialogue, she will inspire, encourage, challenge and empower you to boost your success. Coming from a family of entrepreneurs and being in the corporate world for 25 years herself, she contributes her broad experience in international Leadership, mentoring teams and fostering personal development. Annette Habermann will walk you through an in-depth evaluation of your aspirations, career goals and desired quality of life to commonly figure out what you want to leverage from your full potential. Are you interested in Executive Mentoring? Contact us to schedule a complimentary chemistry session.